Our company is engaged in manufacturing, supplying and exporting a wide range of Aluminum RO Caps.These are offered in various sizes ranging from 25mm, 29mm, 38mm, 48mm & 70mm to cater the varied needs of our clients. It is most commonly used in several companies in food processing, Dairy, Cosmetic & Fragrance industries. These are designed with special care to suit everyone requirement & are manufactured using world class Raw material. Packaging Details: Packed in poly bag, and covered with corrugated box from out side. Our company is engaged in manufacturing, supplying and exporting a wide range of CT Caps. These Continuous Thread Caps are offered in various sizes ranging from 25 mm,29mm, 38mm, 48mm to 70mm to cater the varied needs of our clients. It is most commonly used in several companies in food processing sector. These are designed with special care to suit everyone requirement. We also ensure these are manufactured using excellent quality raw material. 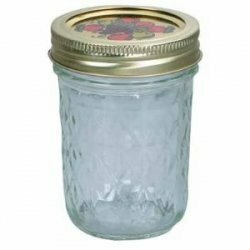 We are among the most sought after manufacturers and suppliers of Mason Jar Lids. 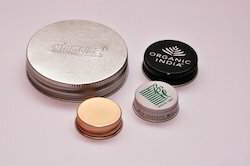 Also known as ROLL ON Caps or CT caps (Continuous Thread), they are widely used in FRAGRANCE/CANDLE & FOOD PROCESSING. These are manufactured using optimum quality TIN SHEET or ALUMINIUM and latest technology in adherence with the international standards of quality. Available in sizes 70mm, 48mm, 38mm & 29mm. Looking for RO Caps ?